In the chaos of a survival situation, firearms will be important tools for protecting yourself, your family, and your supplies as well as for hunting animals for food. In A Prepper’s Guide to Shotguns, Robert K. Campbell discusses the best shotguns to have with you in any confrontation—including the end of the world as we know it. Shotguns that are easy to carry and lightweight and that shoot accurately and reliably at close ranges are ideal candidates for personal protection. In A Prepper’s Guide to Shotguns, Campbell explores specific shotguns that are appropriate for urban, rural, and suburban environments, with tips on how to use them in each context. Whether at home or in a survival scenario, these shotguns are the best for defense. 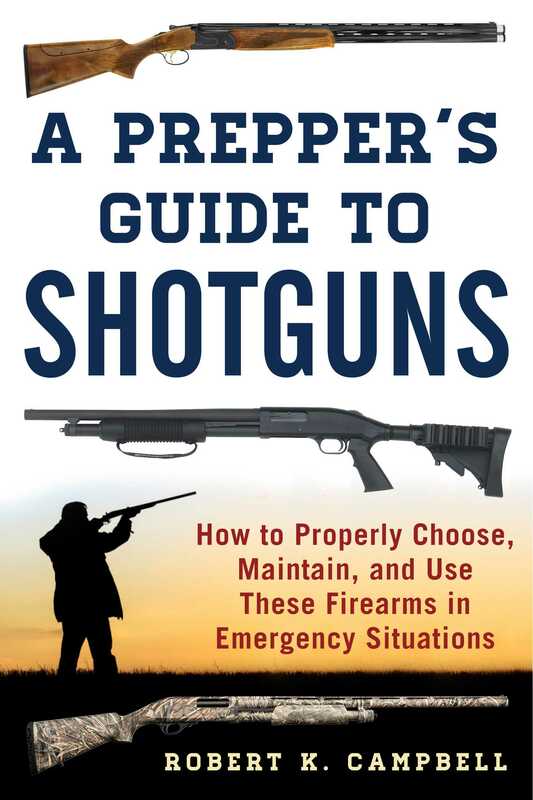 A Prepper’s Guide to Shotguns not only reviews the specific features of defensive shotguns but how to use them—whether on the move, in a defensive situation, while retreating, or in other circumstances. Campbell also offers expert tips on how to improve your marksmanship, how to maintain your firearms, crucial gun safety rules, what ammo and optics to purchase, and more.